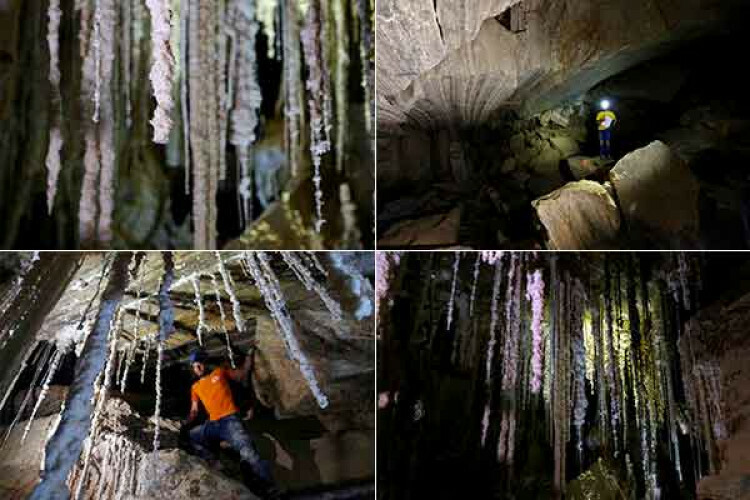 On Thursday, it was informed by the Israeli cave explorers that they had discovered the world's longest Salt Cave near the Dead Sea. With this revelation, the previous record has been broken. The Malham cave is over 10 kilometers long going through Mount Sodom. Talking about the inside of the cave, pale salt stalactites are hanging from the ceiling, and some of the walls are sparkling due with salt crystals.